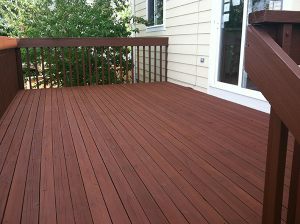 RUB­BOL® SOLID STAIN is a hybrid alkyd/​acrylic with the advan­tages of both tech­nolo­gies. This for­mula offers excel­lent pen­e­tra­tion and adhe­sion over both bare and pre­vi­ously coated sur­faces. 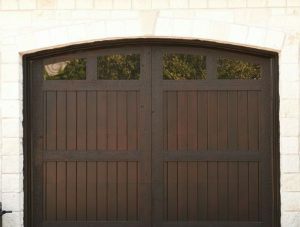 This pre­mium, low-​luster, highly-​protective fin­ish hides the wood grain but accen­tu­ates the texture. Rub­bol is for use on Decks, Sid­ing, Trim, Shakes, Shin­gles, Fences, Logs, Garage Doors, Pre-​primed fiber cement sid­ing, Exte­rior ply­wood (T1-​11 board) and can be used on Cedar, Pine, Spruce and Fir. Rub­bol tints to 53 cus­tom col­ors, but we are also able to match any color as well. This fin­ish is easy to apply, has excep­tional color reten­tion, out­stand­ing chalk resis­tance, is water repel­lent, and pro­vides a dirt and mildew resis­tant finish.